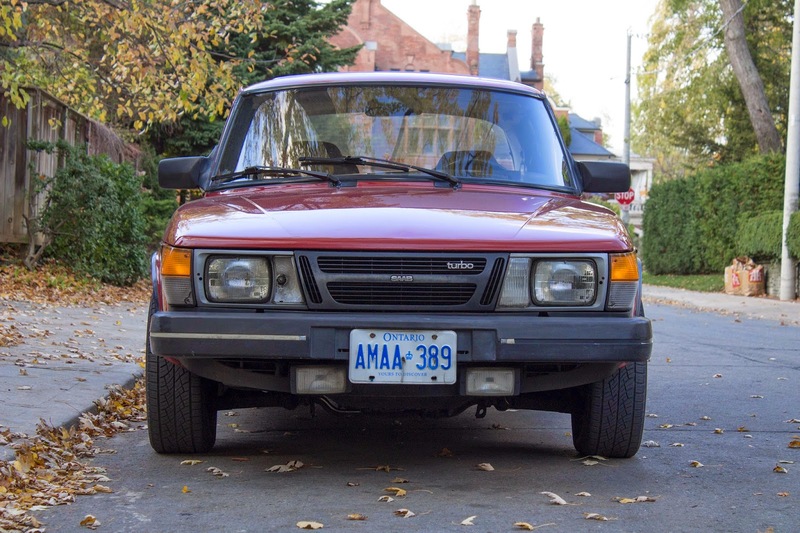 Few cars are weirder than old Saabs. But old Saabs (and their eclectic owners) pride themselves in being different. People who wanted to drive different in the 60's bought a VW. But as the Beetle was phased out by the Golf in the 70's, Saab evolved as the natural choice for odd people who wanted to drive odd cars. Today's streetside specimen is a very rare Swede. 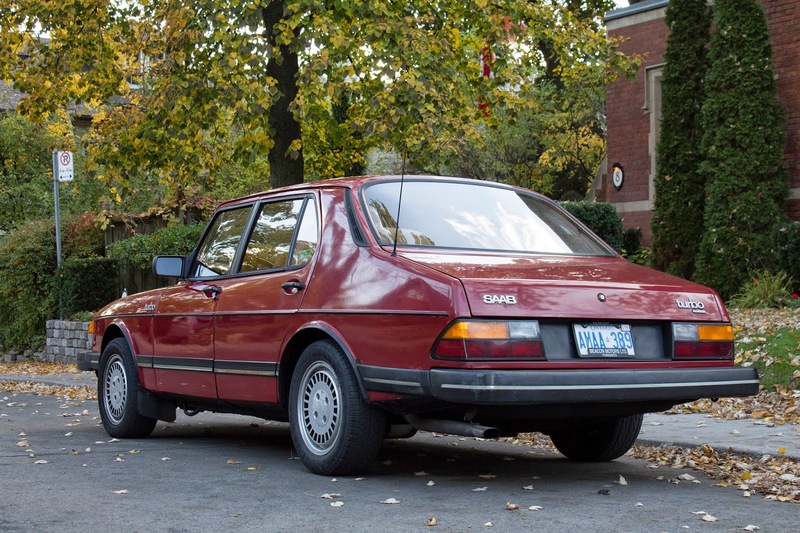 This 1984 Saab 900 Turbo sedan is one of the few Turbo sedans (most were coupes) built and one of a microscopic number still driven as transportation. And it's a manual! Check out the square headlights set into a trapezoidal frame. See how they look like they don't really fit? That's because until the late 1980's the US and (subsequently Canadian) regulatory agencies banned aerodynamically shaped headlights. Round and square glass units were the only shapes allowed. 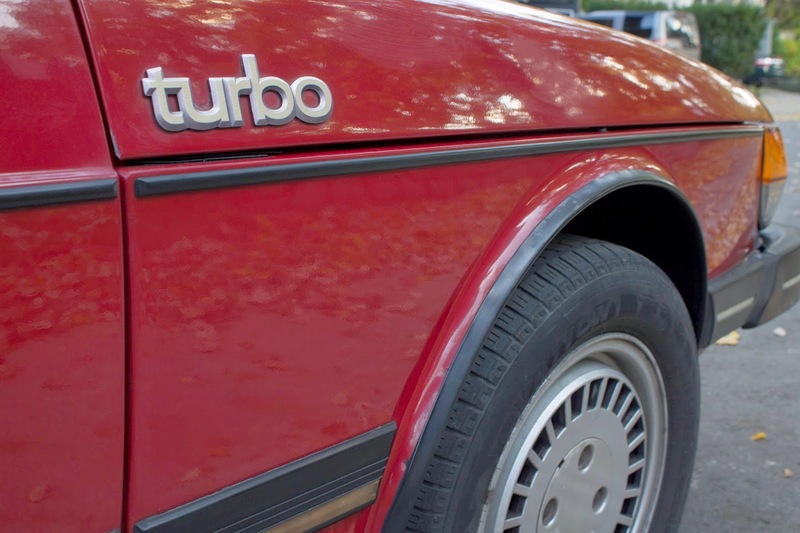 Turbos were still a big deal in 1984. The Garrett T3 bolted onto the Triumph-derived 8-valve 2-litre SOHC 4-cylinder boosted the little Saab to 143 horsepower. Atmospherically aspirated cars made just 116 hp. The 900's engine was also mounted backwards and sat 45 degrees from vertical. Why? because Saab! Despite the turbo power, these Saabs weren't really sports cars. 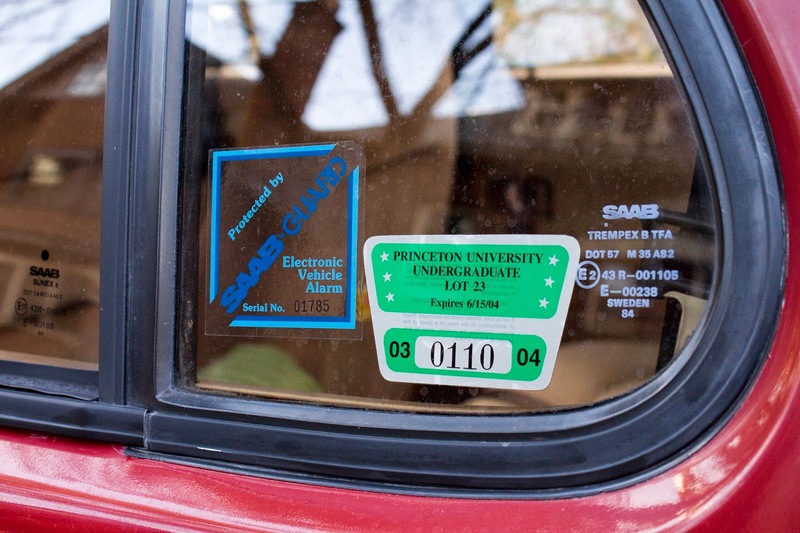 (Though they have an excellent rally pedigree) These cars were bought by thinkers, architects and engineers as the Princeton parking pass can attest. 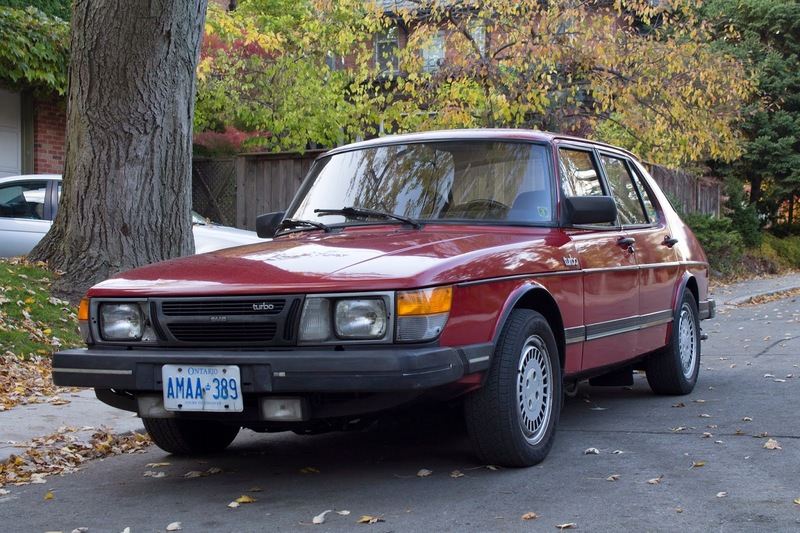 These 900's were the most iconic Saabs. 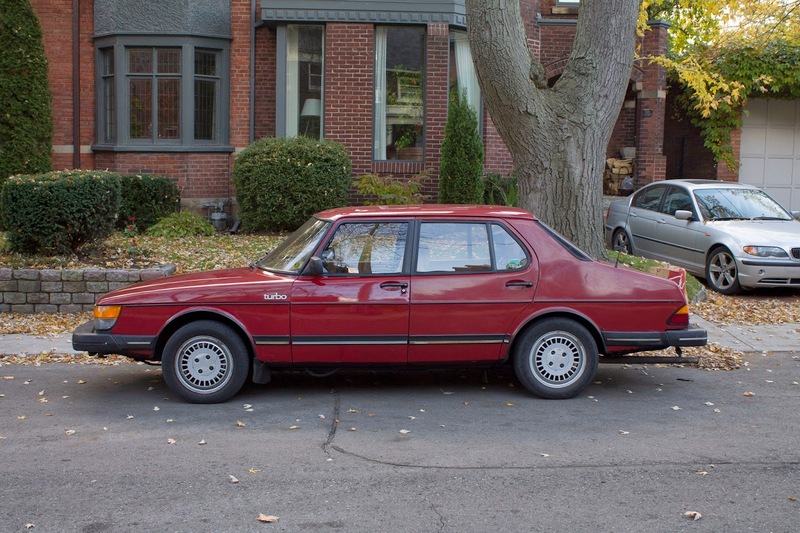 The 9000 and successive models would all become progressively more generic and less... Saab. Saab stood for being different. They looked different and drove different than any other car out there. Subaru aside, Every manufacturer now follows the exact same layout for front and rear drive cars. Don't you miss when cars could be a little strange? Rock on you zany turbo Swede.